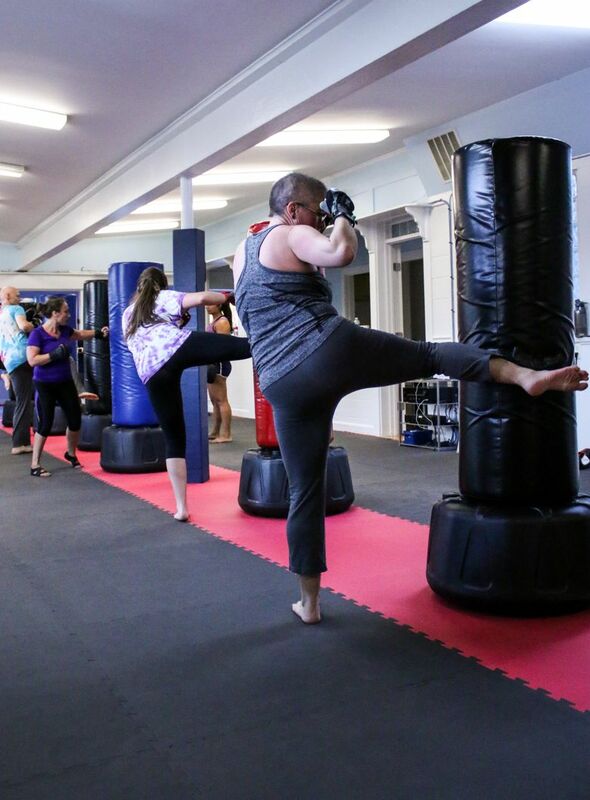 Kickboxing Keene’s team will help you develop your cardiovascular fitness, balance, coordination, strength and agility, all while having an uplifting and fun class with loud and motivating music. Because no two classes are the same, your workouts will keep your body guessing for a dynamic and challenging experience. Format: The class will begin with a warmup, followed by a combination of heavy bag work, strength training, plyometric and core training. The focus for the majority of class is to work your punching and kicking combinations on the heavy bag. Content: Muay Thai Kickboxing is also known as the “art of eight limbs,” because you will make use of your fists for punching, your legs for kicking, and your elbows and knees for other numerous strikes. You will learn how to effectively perform these strikes, and gradually increase your speed and power as you become more advanced. Frequency: For the most benefit to your body, we recommend you attend at least 2 classes per week, which can help you break out of a fitness rut and burn over 700 calories per workout. Level of Difficulty: Our classes are designed so that ALL FITNESS LEVELS ARE WELCOME. This is a heavy bag workout and THERE IS NO SPARRING OR PERSON TO PERSON CONTACT.